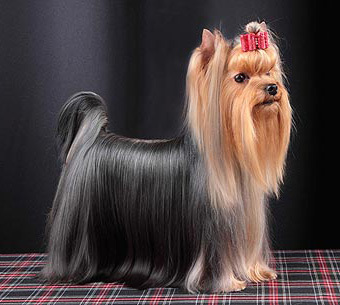 The appealing, stylish looking and long-coated with bluish-gray color of hair, Yorkshire terrier are popular for their unique and attractive appeal. Most commonly found between the weight scale of 6 to 20 pounds, this breed of dogs has been actively popular since its first appearance in 1861, during a dog-bench show in England. This small breed of dogs was used for the purpose of catching rats in the clothing mills of England. Their long hair and color scheme of white, grey and black is used to identify them from other breeds. This breed was named Yorkshire terrier later in the year 1870. This makes this breed as appealing as the dog’s appearance itself is. With time, there has been regular development in the style and representation of these dogs. Now, they have become common choice of all the style oriented pet lovers. While going through the history of Yorkshire terrier in detail, it comes in knowledge that all the breeds, which were cross-breed to create Yorkie, are now non-existent. This has turned as the major reason to get actual source of origin for a Yorkshire terrier. 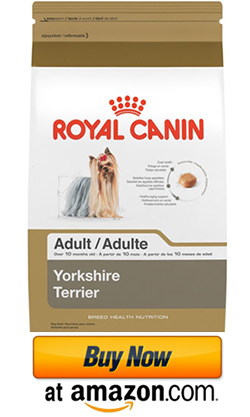 Still going through the history, a lot more about the behavioral and physical characteristics of these pets can be explored, which is useful in making the Yorkie pets healthier and free from any sort of troubles. Though, there are various rumors about origin of these species but tracing the exact one for this breed of terrier series dogs is not possible. In addition, Yorkshire terrier breed is considered responsible for the generation of new breed of dogs, named as Australian Silky Terrier. 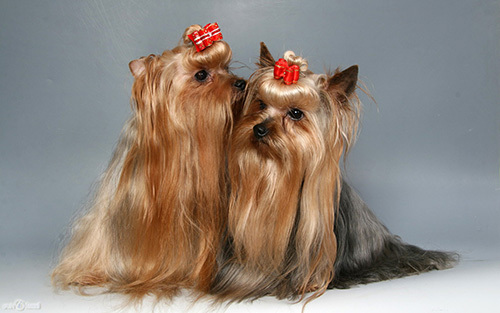 The history of Yorkies begins with the idea of cross-breeding various popular breeds of dogs and eventually getting these unique and cute looking dogs as the final result. Being a result of various cross breeding experiments, this species of dogs has always been extra sensitive towards routine pet health and cleanliness care. Since beginning, special type of security measures have been taken by the pet-owners to offer the Yorkie with complete and dedicated care. Keeping its face hair well-trimmed, length of its hair coat balanced and ensuring its ears, eyes and teeth are clean, are some of the important step taken in the process of pampering and caring for a Yorkie. Hence, the Yorkie is one of the most pampered breeds of pets till now. The history of these dogs also states the special measures taken to offer dedicated care to these pets. This has helped the present Yorkie owners to know the right path to offer care and daily hygiene benefits to their pets. Hence, reading and exploring through the history of Yorkshire terrier has become important as well as beneficial for them. It helps them to understand the basic characteristics of these pets and help them to have fair idea about right methods to prevent the Yorkie from any health related issues in future. As per the general personality attributes, Yorkshire terrier is considered to be active, attention-seeker and caring dog breed. Hence based on all these history based knowledge it becomes easy to define a Yorkie and understand its personality.